Kevin is a Marine Corps combat veteran who has served proudly in support of Operation Iraqi Freedom & Operation Enduring Freedom. Kevin made his decision to join the Marine Corps after the September 11th attacks on the World Trade Towers. Kevin served for 8 years and was honorably discharged as a Sergeant. After the military, Kevin worked in all areas of security and access control systems. 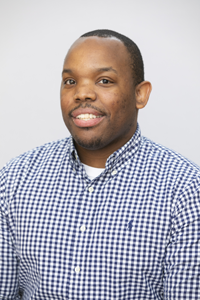 Kevin started his career in education as an IT customer service representative where he was responsible for the break fix process at two high schools. He also held “Tech Tuesday” training where he was able to coordinate with principals and faculty to train them on all district resources. Kevin then moved on to work as an Education Technology Specialist and headed the district’s student data privacy, Internet safety and security initiative. In the two years of heading this initiative, Kevin was able to raise awareness about student data privacy and influence education technology products to improve upon their privacy practices.